Various leftist political factions have filled historical reportage with inaccurate claims that persist; for example, it is claimed that in establishing the guiding document for the United States, the Founding Fathers, who composed the Constitution, thought that blacks were only three/fifths human. Even Condoleezza Rice, an educated, accomplished former Secretary of State, misspoke when she said, "In the original U.S. Constitution, I was only three-fifths of a person." Such a misstatement by a sophisticated and knowledgeable person just shows how widespread and deep some errors have been carved into the culture. The Three/Fifths Compromise focused on representation to congress not on the humanity of each individual person. Then there is the false assertion that "Nazis" are right wing. The term "Nazi" is short for National Socialist German Worker Party, translation from the German, "Nationalsozialistische Deutsche Arbeiterpartei." The right wing has never endorsed "socialism." Along with "fascism," the term by definition includes statism or government control of the lives of citizens—the antithesis of the right wing stance. 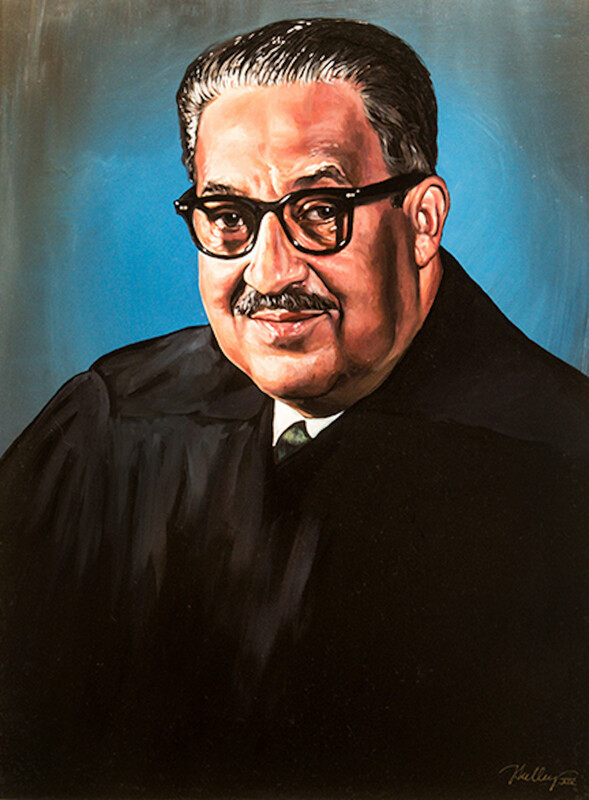 When confronted with inconvenient history of their party regarding the issue of race, the United States Democratic Party members and its sycophants insist that the Republican and Democratic Parties simply switched positions on race, after the Republicans had ushered in the Civil Rights Act of 1964. This ludicrous claim can easily be laid to rest with a few pertinent facts. 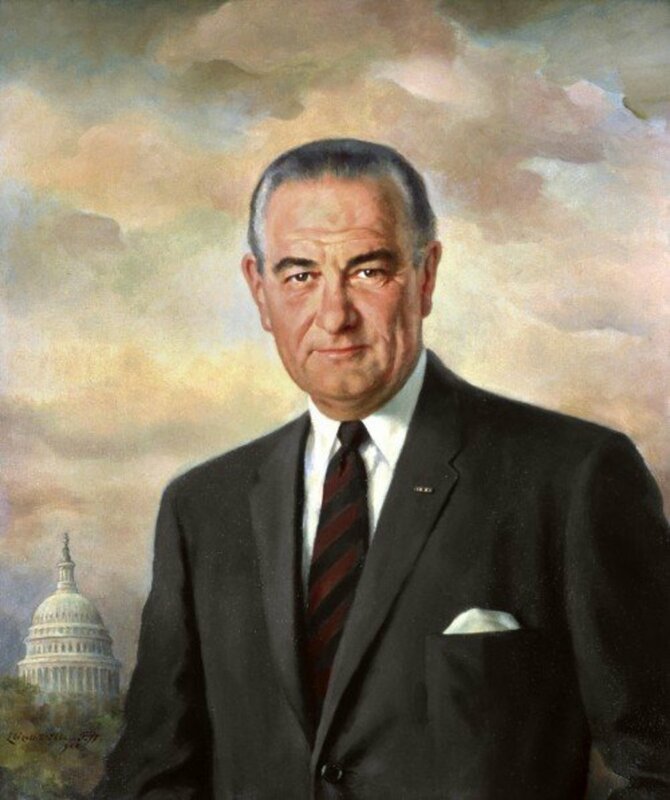 President Lyndon Johnson, a Democrat, signed the civil right bill in to law; however, Johnson himself had labored tirelessly against earlier civil rights legislation. By signing that bill, Johnson merely demonstrated that he had come to believe that the way for Democrats to get and keep power in future was to pacify and humor blacks, instead of denigrating them and segregating them from whites. 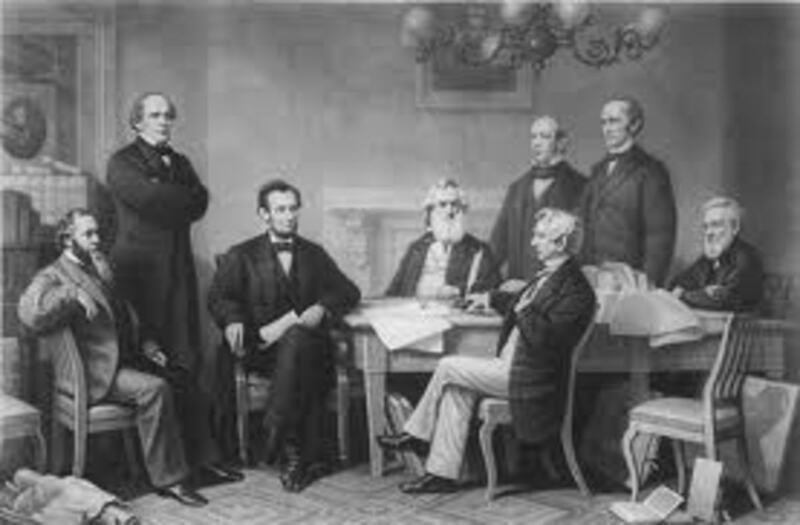 On January 1, 1863, President Abraham Lincoln signed the Emancipation Proclamation, which stated "that all persons held as slaves are, and henceforward shall be free." The country had already been suffering three years of a bloody Civi War to end slavery. Democrats had been lobbying for and passing legislation such as the Jim Crow laws and Black Codes for over a century—all designed to keep the black population from enjoying the fruits of citizenship. Allegedly, Johnson quipped, “I'll have those ni**ers voting Democrat for the next 200 years.” That infamous statement clearly reveals where Johnson's loyalties lay: with acquiring power for the Democratic Party and not for the African American citizens. These Negroes, they're getting pretty uppity these days and that's a problem for us since they've got something now they never had before, the political pull to back up their uppityness. Now we've got to do something about this, we've got to give them a little something, just enough to quiet them down, not enough to make a difference. After much useless bloviating, David Emery admits, "Circling back to the quote with which we started, it wouldn't have been entirely out of character for LBJ to have said something like, 'I'll have those niggers (sic) voting Democratic (sic) for 200 years'"; however, Emery doubts it, of course. While 80% of the Republicans in the House of Representatives voted for the Civil Rights Act of 1964, only 63% of the Democrats voted aye. Also while in the Senate, 82% percent of Republicans voted for the bill, only 69% of Democrats did. This set of votes shows that no southern senate Republicans voted for the act, but there was only one southern Republican in the senate. 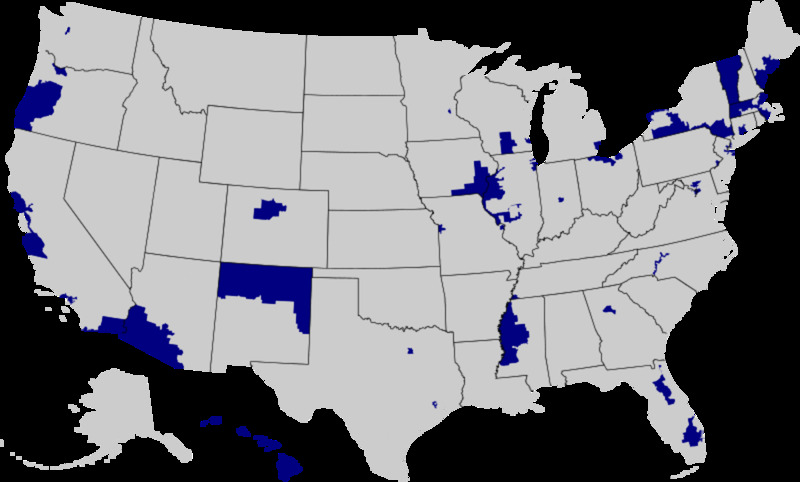 And also no house Republican voted for the act, but again there were only ten southern Republicans in the house. This low number of Republicans in the house and senate when converted to percentages skews the reality of the fact that the overall vote, which is the vote that counts, clearly outs the Democrats as opposers of the act. And the Democrats' main reason for voting against the act was based on race, especially in the south; however, all of the Republican senators, both north and south, who voted against the act, did so because they favored Senator Barry Goldwater's position, who remained against the act, not because of racial animus but because of his belief that it was unconstitutional in usurping states' rights, especially in the area of private business (see below). The senate Republicans voting against the act were Bourke B. Hickenlooper (IA), chairman of the Senate Republican Policy Committee; Norris Cotton of New Hampshire (NH), Edwin L. Mechem (NM), Milward L. Simpson (WY), and a John G. Tower (TX). 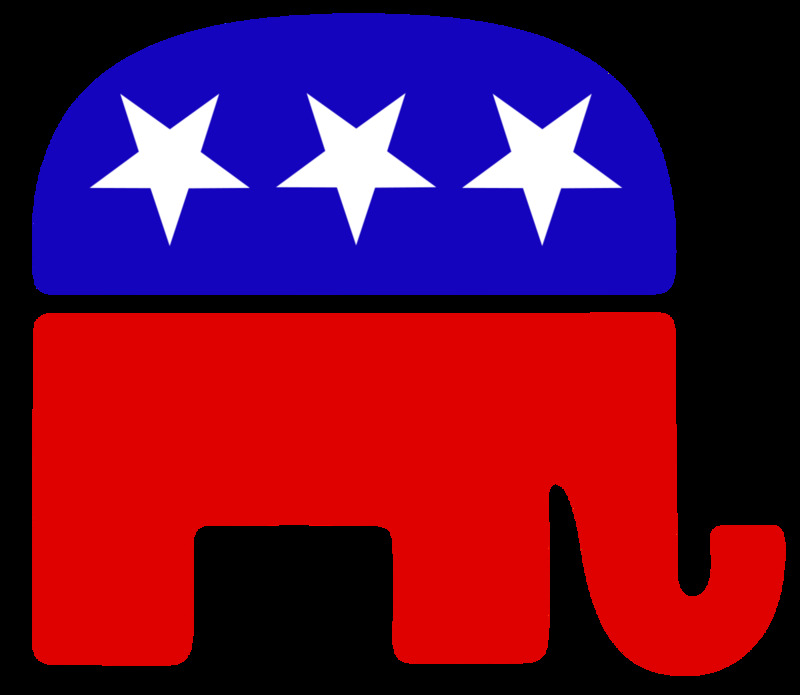 The history of the Republican Party begins with the fact that the party was established primarily for the abolition of slavery. Yet over a century later, modern-day Democrats such Charlie Rangel are pushing the notion that the Republican and Democratic parties simply "changed sides" in the 1960s on civil rights. This facile excuse is widely spewed by Democrats when confronted with their own undeniably racist past. However, the facts do not bare out but rather reveal the persistent inaccuracy that the parties simply switched sides. 1. Barry Goldwater’s position regarding the Civil Right Act of 1964. Goldwater did oppose that bill in its final form because he argued that it was unconstitutional, in that it usurped state and individual rights. 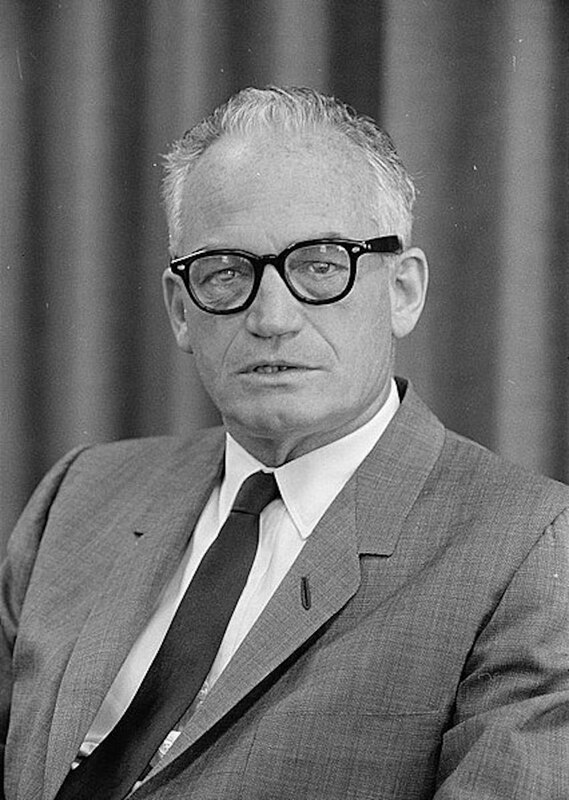 Goldwater had helped found the Arizona’s NAACP, and he had voted for earlier versions of the civil rights legislation. Thus, Goldwater's opposition was not similar to the Democrats' opposition based on racism; Goldwater's opposition was based on the interpretation of the Constitution that guarantees basic individual rights. 2. The Southern Strategy. With this strategy, the Republican Party were attempting to demonstrate to southern Democrats that by continuing to vote for racist/socialist Democrats they were voting against their economic interests. What gave Democrats the opening to use this strategy against Republicans was that the Republicans utilized racist political bigots, who were, in fact, Democrats themselves, to help win votes for Republicans. This strategy prompted the GOP opponents to misrepresent the Republican's purpose and thus label it primarily racist, when it was, in fact, based on economic growth. 3. The American South turning to Red from Blue. This claim falls apart with the fact that the “Deep South” took 30 years to begin changing from Democrat to Republican. It was only in the peripheral South, which includes Tennessee, Texas, and Georgia, that many working-class transplants, relocating from the northern states as well as from other parts of the United States, understood that the Republican Party offered policies that promoted business, commerce, and entrepreneurial success. Those transplants, after all, had relocated south to improve their financial status through their new jobs. Racism at this point in the country's history had begun to wane as a political force. 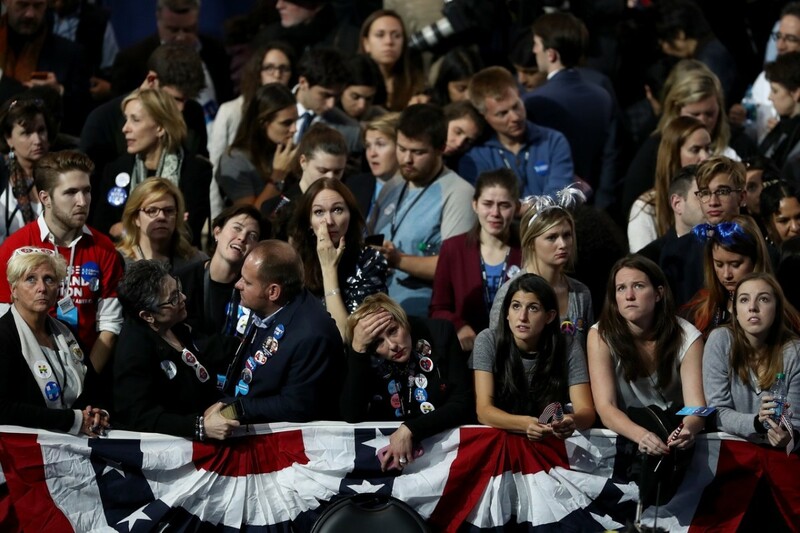 But the Democratic Party has continued to foment and fabricate unrest between the races in order to employ racism as an issue against their opponents in the Republican Party. Many believed the Democrats had a change of heart and fell in love with blacks. To the contrary, history reveals the Democrats didn’t fall in love with black folks, they fell in love with the black vote knowing this would be their ticket into the White House. The economist Thomas Sowell has also shed light on the subject: "some of the most devastating policies, in terms of their actual effects on black people, have come from liberal Democrats." Sowell emphasizes that the "minimum wage laws" everywhere they have been established have a "track record of increasing unemployment, especially among the young, the less skilled and minorities." According to "How the Liberal Welfare State Destroyed Black America," the "War on Poverty," the programs established by the Johnson administration brought about conditions which furthered the rise of poverty among black families. By discouraging marriage, these policies have resulted in out-of-wedlock birthrates that have skyrocketed, "among all demographic groups in the U.S., but most notably African Americans." The U.S. out-of-wedlock birthrate in the 1960s hovered around 3% for whites and close to 8% for all Americans; that rate was around 25% for blacks. But, by the mid 1970s those rates had increased to 10% for whites, 25% for all Americans, and over 50% for blacks. Then by late 1980s, the birth-rate of unmarried black women had become greater than for married black women. Today the out-of-wedlock birth rate for blacks has climbed to almost 75%. The Census Bureau maintains that poverty is closely associated with out-of-wedlock births ("Census Bureau Links Poverty With Out-of-Wedlock Births"). There is no argument that stands up against the fact that racism as an issue of public policy has been unsystematized since the passage of the civil rights acts of the 1960s. No more Jim Crow laws or Black Codes anywhere call for racial discrimination as they had before the passage of those civil right laws. Before the passage of those bills, not only did racist laws exist, they were enforced by legal authorities as well as the Ku Klux Klan, which functioned as a "terrorist arm of the Democratic Party" to oppress black citizens. Still, leftist historians such as Carole Emberton, an associate professor of history at the University at Buffalo, continue to use, "the party lines of the 1860s/1870s are not the party lines of today" bromide to attempt to separate the Democratic Party's engagement from the Ku Klux Klan, in the same breath as admitting, "that various 'Klans' that sprung up around the South acted as a 'strong arm' for many local Democratic politicians during Reconstruction." Democrats continue to employ the fallacious claim that racism is still a "systemic" problem. They peddle this fiction so they can insist that only the Democratic Party is willing to fight against that fantasized systemic blight on society. But again and again, the Democratic Party's policies have been used as Lyndon Johnson used them to placate blacks by making them think they are getting something that no political party even has the power to give: financial security and equality with guaranteed outcomes. Political parties, when in power, can help the voting public only by instituting policies that encourage financial success and individual freedom. They cannot guarantee that success. They cannot legislate individual success through identity politics. The Democratic Party and its allies continue to employ the false claim that the two parties exchanged positions on race, in an attempt to gain power and to rehabilitate the party's racist past. Party members and its minions continue to tie most issues to race because that tactic seems to have worked for gaining power. But when voters look at the basic facts, that claim begins to lose its strength. For example, citing the voter ID issue as a racist Republican strategy simply bolsters the evidence that Republicans are, in fact, not racist. A majority of black citizens and voters also are in favor of the voter ID laws. However, the Democrats vehemently and inaccurately continues to rails again voter ID laws because they know that those laws would impede voter fraud—a staple in the machine to elect Democrats to government. Democrats have been attempting to whitewash their racist past for decades; to do so, they often fabricate history. 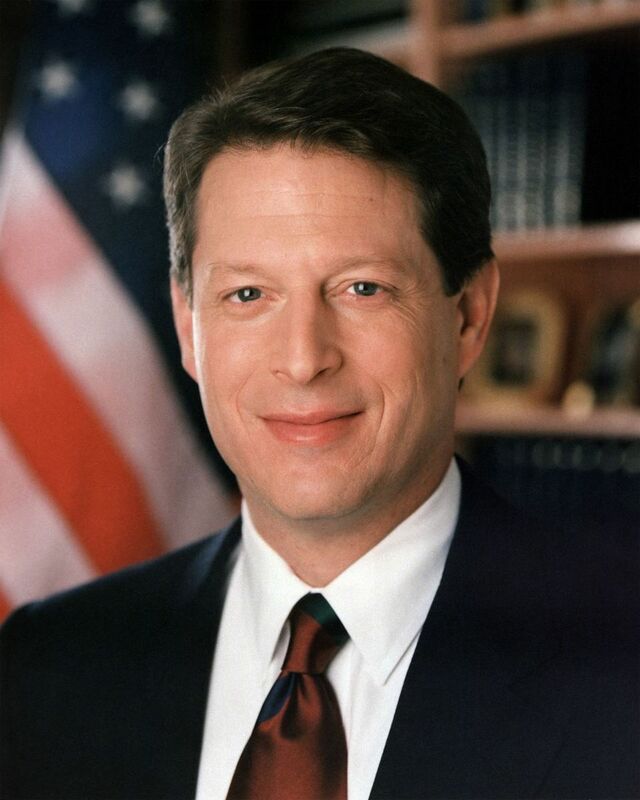 For example, as a candidate for the presidency in 2000, Al Gore falsely stated to the NAACP that his father, Al Gore, Sr., had lost his senate seat because he voted for the Civil Rights Act of 1964. Gore, Sr., voted against that act, as he supported and joined in the filibuster against that act. Gore, Sr. then sponsored an amendment that would take the teeth out of the enforcement power of that bill, just in case it passed. Dinesh D'Souza: "Majority of Dixiecrats Never Switched"
Democrats also point to the rise of the Dixiecrats that supposedly shows that racist Democrats became Republicans. 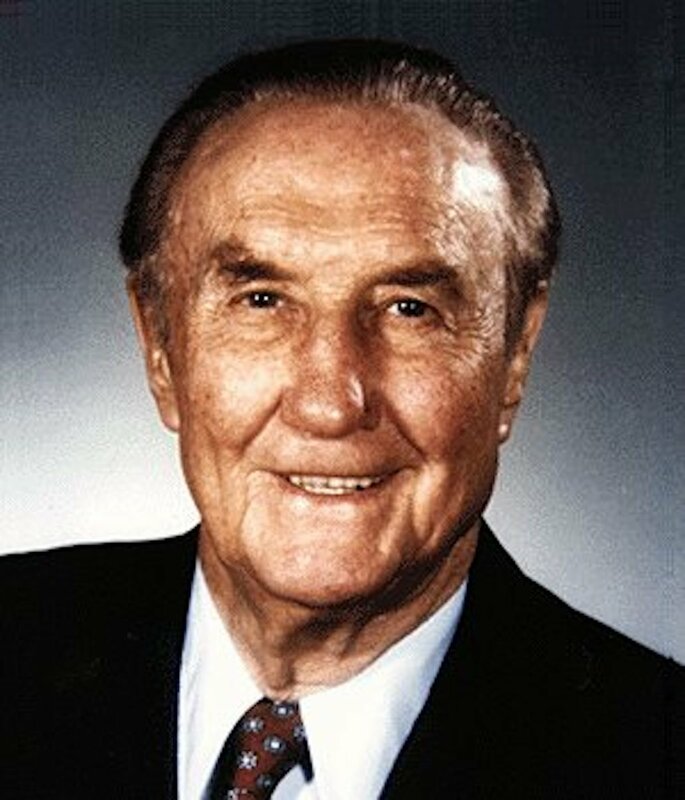 However, it is a fact is that only two Democrats-turned-Dixiecrat, left the Democratic Party for the Republican Party: Senator Strom Thurmond traded in his party alliance with the Democrats to join the Republicans in 1964—not because he continued to support racism, but because he began repudiating it. 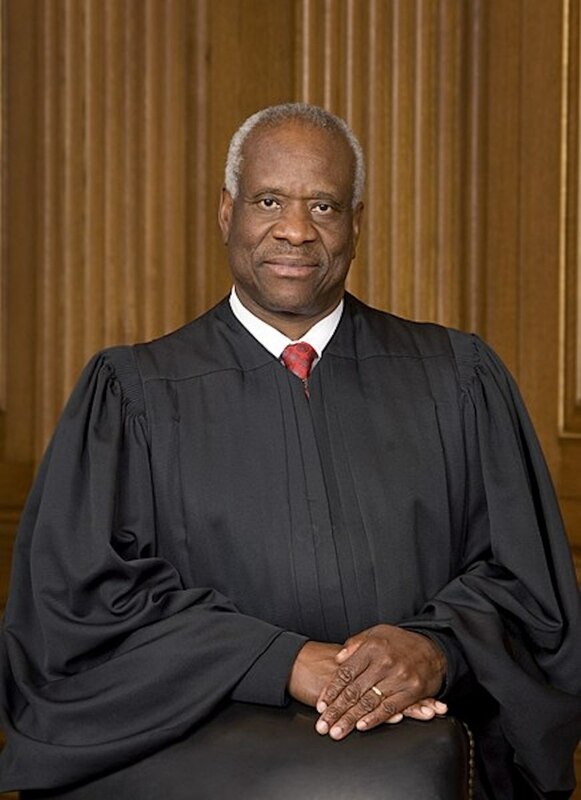 Frances Rice explains: "Thurmond was never in the Ku Klux Klan and, after he became a Republican, Thurmond defended blacks against lynching and the discriminatory poll taxes imposed on blacks by Democrats." Governor Mills E. Godwin, Jr. of Virginia abandoned the Democrats for the Republican Party in 1974. But again, like Thurmond, Godwin abandoned his racist past and served as Virginia governor first while a Democrat and then as a Republican. West Virginia's Robert Byrd, a former Ku Klux Klan Exalted Cyclops and long serving Democratic senator, did renounce his earlier support for segregation and racism; however, Byrd was the only senator to vote against confirmation to the Supreme Court of Justice Thurgood Marshall, a Democrat. Byrd also joined 47 of his fellow Democratic senators as he voted against Justice Clarence Thomas, a Republican. Neither a black Democrat nor a black Republican could pass muster with the former Klansman. 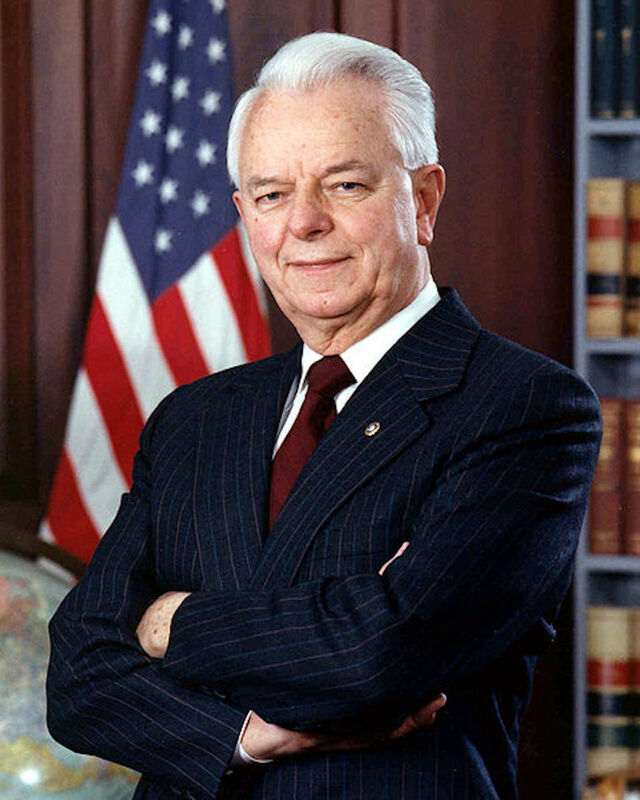 Senator Christopher Dodd praised Byrd highly by stating that Byrd would have been "a great senator for any moment." To this potentially inflammatory remark, the Democrats remained silent. Then later after Senator Trent Lott spoke kind words of Senator Strom Thurmond, the Democrats with their usual hypocrisy lambasted Lott unmercifully. It made no difference that Thurmond had never served as a member of the Ku Klux Klan while Byrd had risen to the high position of Exalted Cyclops. Regarding Democrat hypocrisy, Alex Knepper has remarked: ". . . being a Democrat means that you can promote segregation, join the KKK, vote against both black Supreme Court nominees, and use the word “ni**er” on national television — and still be remembered as a promoter of black interests." The Democratic Party has raised hypocrisy to an art form in its pursuit of power. Racism: Democrats and Republicans Switch Sides? It is most unlikely that the majority of the members of the Democratic Party are racists today. Yet, it remains unconscionable that so many Democrats label Republicans racist and bigot in pursuit of political power against their opponents. Democrats cannot legitimately deny the many studies that offer support to the argument proffered by Republicans that Democratic policies are detrimental not only to black citizens but to all citizens. The basic Democratic Party philosophy is based on grabbing the financial rewards from certain groups—namely, "the rich"—to give to others—namely, "the poor." In practice this Robin Hood falsehood ultimately means taking form those who earn and redistributing it to friends and allies of the redistributors. Such a system cannot possibly succeed. It can only create victims whose ability to produce becomes atrophied by the false promises of pandering politicians. Democrats will continue to play the race card because they have become utter failures at convincing the majority of the electorate that their policies work. Citizens have become dissatisfied with the actual theft of their earnings, as they have watched while decade upon decade has demonstrated that their shabby, crime filled cities are, in fact, the result of Democrat policy fecklessness. Perhaps, it is time that African Americans adopt a different mind-set and realize, as Rev. Perryman avers, that the Democratic Party is interested only in their vote not in their welfare. As President Donald Trump asked as a candidate during his 2016 presidential campaign, "What do you have to lose?" Planned Parenthood is one of the greatest perpetrators of violence against African Americans in this country. It’s founded on racism, perpetuates racism, and kills more than 850 African Americans every day. Please try to imagine the outcry against them, if it were Republicans, who vehemently supported this institution of black genocide. Natalie Wolchover, "Why did the Democratic and Republican Parties Switch Platforms?" LiveScience, September 24, 2010. David Emery, "Civil Wrongs," snopes.com, updated: Jul 27, 2016. Mona Charen, "Whitewashing the Democratic Party's Racist Past," NRO, June 26, 2015. Kevin D. Williamson, "Desegregation, before Brown," NRO, April 29, 2013. Harry J, Enten. "Were Republicans really the party of civil rights in the 1960s?" The Guardian, August 2013. Steven Hayward, "The 'Southern Strategy' Debunked Again," Powerline, April 30, 2013. Gerard Alexander, "The Myth of the Racist Republicans," CRB, March 20, 2004. Thomas Sowell, "The Left Doesn't Care Whether Minimum-Wage Laws Actually Help the Less Fortunate," NRO, July 23, 2015. Steven Nelson, "Census Bureau Links Poverty to Out-of-Wedlock Births," U. S. News, May 6, 2013. Erin Anderson, "Democrat Poll Workers Plead Guilty to Voter Fraud," Texas Scorecard, May 25, 2017. John Perazzo, "How the Liberal Welfare State Destroyed Black America" Frontpage Mag, May 5, 2016. Walter E. Williams, "The True Black Tragedy: Illegitimacy Rate of Nearly 75%," cnsnews.com, May 19, 2015. Eric Foner, A Short History of Reconstruction, Harper & Row Publishers, Inc., 1990, print. David Almasi, "Majority of Black Voters Surveyed Support Voter ID Laws," The National Center for Public Policy Research, June 6, 2014. Terry M. Neal, "Gore Stresses Family Civil Rights Record," Washington Post, April 26, 1999. R.D. Davis, "Blacks 'Gored' By a Lie: Al Gore Sr., the GOP and the Civil Rights Act of 1964," Project 21, May 1999. Frantz Kebreau, "See How Many Dixiecrats Became Republicans," YouTube, August 27, 2012. Frances Rice, "Republicans and Democrats Did Not Switch Sides on Racism," National Black Republican Association, June 18, 2012. UPDATE. Sean Gorman, "State Sen. Stephen Martin says Democratic Party created the Ku Klux Klan." PolitiFact, June 2013. Wolfgang Saxon, "Mills Godwin Jr., 84; Ruled Virginia as Democrat and Republican," The New York Times, February 2, 1999. Michael Grunwald, "Senator Byrd: Goodbye to the Old Gasbag," Time, July 01, 2010. Theo Lippman, Jr., "Who in 1967 voted against Thurgood Marshall," The Baltimore Sun, October 19, 1991. Editorial, "How Decades Of Democratic Rule Ruined Some Of Our Finest Cities," Investor's Business Daily, March 9, 2016. Wayne Perryman, "The Racist History of the Democratic Party," History News Network, February, 2004. D. C. McAllister, "If Planned Parenthood Thinks Black Lives Matter It Should Stop Killing Them," The Federalist, September 22, 2016. Donald Trump, Campaign Rally in Dimondale, Michigan, August 19, 2016. C-Span. Since the American Civil War, which party's policies have been better for the African American community? How do you square all this with the fact the Abraham Lincoln was a Democrat? Why did the KKK officially endorse Trump in 2016? Is the KKK suddenly "not racist" now? 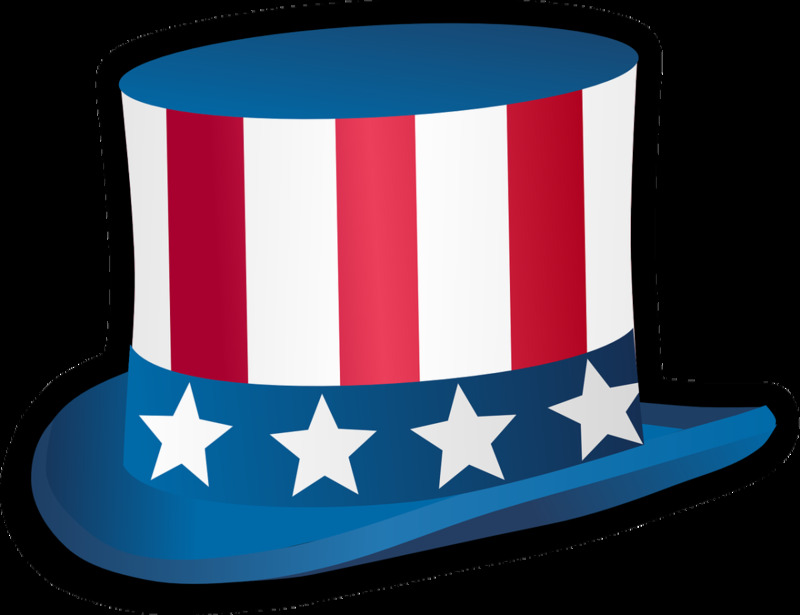 Who was the president to be the first from the Republican Party? The first Republican Party candidate for the presidency was John C. Frémont, who ran unsuccessfully in 1856. 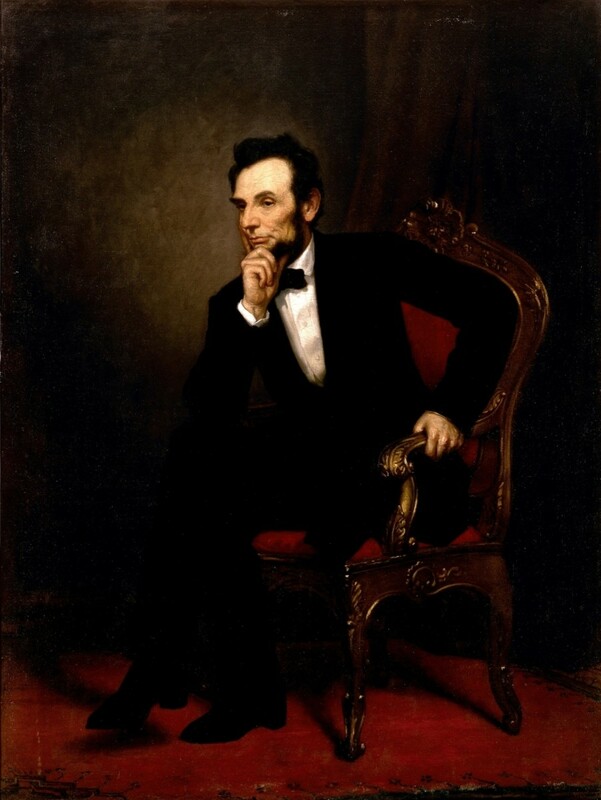 The first Republican to be elected was Abraham Lincoln in the election of 1860. When did Lincoln sign the Emancipation Proclamation? Why do we call ourselves Americans, when America includes the South and the North? Because our country is "The United States of America." Other North and South American countries have other names, such as Canada, Mexico, Costa Rica, Brazil, etc. Thus, "Americans" makes more sense than "United Statesians." Why do Democrats continue to play the race card? Their policies fail to work. Thus, they use the race card as a distraction. What is a Progressive Democrat? Len, thank you for adding this useful, accurate information. Employing clear, well-researched resources such as Chernow's biography on Grant remains vital for understanding our history. The Douglass quotation certainly offers a corrective that places the spotlight on those who attempt to revise history in service of rehabilitating the racist past of the Democratic Party. Yes, the two "Johnsons" certainly did their share in keeping blacks from attaining their rightful place as American citizens, despite LBJ's reluctant but opportunistic signing of the Civil Rights Act of 1964. It does seem that we remain in that same event chain you describe with our presidents: Trump is cleaning up after Obama, just as Bush had to clean up after Clinton, and on back to Reagan mitigating the mess left by Carter. Such is the functioning of our democratic republic! Thank you for your informative response! I do appreciate comments like yours that actually add some valuable, additional information to discussion. Have a blessed day, Len! A great and truthful article. Thank you Ms. Grimes. If one wants to challenge Ms. Grimes they only need to read the book, Grant by Ron Chernow. One outstanding passage is the quote by the most prominent black of his time(1872) by Frederick Douglas who said, "If as a class we are slighted by the republican party, we are as a class murdered by the democratic party." President Lincoln was murdered shortly after Lee surrendered to Grant, therefore, giving the blacks the two worst presidents in history, both named Johnson, and it was a republican president that continued to fight for blacks and that was U.S. Grant. Andrew Johnson threw away everything that Lincoln achieved from the civil war and Grant revived it. 5 months ago from U.S.A. The vague "that those on the right want you to believe" screams obfuscation and disingenuousness. Who, for example, are "those" and just what is that they want me to believe? What I "believe" is based on research of historical and current data and cannot be attributed to a nebulous "those on the right" and their desires. The definition of fascism is not mine; it resides on the dictionary.com site. That you find right-wing politics fitting the fascism definition demonstrates either confusion or plain ignorance. The current president has given no indication of becoming a "dictator." He takes more questions from a hostile media than any president in recent history, and while he is not shy about refuting false reports about him, unlike his predecessor whose justice department labeled a reporter a “criminal co-conspirator” under the Espionage Act of 1917 and who denied the most Freedom of Information Act requests of any administration, this president has not sought to criminalize the free press. Evangelicals and Christians primarily want freedom of religion. They have no interest in what you think. For the most part, they want to remain free to practice their religion according to their conscience. The First Amendment guarantees that no religious group through government sanction can dictate to the polity which religion it follows. Regarding Russell Kirk's "Ten Conservative Principles" screaming "regimentation": you mean like #8, "conservatives uphold voluntary community, quite as they oppose involuntary collectivism," and #9, "the conservative perceives the need for prudent restraints upon power and upon human passions," and #10 "the thinking conservative understands that permanence and change must be recognized and reconciled in a vigorous society." Far from the stagnation of "regimentation," those 10 principles offer a path to reconciling tradition and modernity in a way that harmonizes and balances all that is good, useful, and true in the progress of humankind. You then claim: "One of the major right-wing goals is to take a women's decision about what to do about her own body away from her." You mean that right wingers want to keep a woman from getting a facelift, a tattoo, a root canal, or an appendectomy? Of course, you don't! You mean the right wing wants to prevent women from killing their unborn children! That horrendous abortion euphemism of a woman "controlling her own body" for "killing her unborn baby" is the most offensive talking point spouted by the left. But hey, let's take your "more power for the individual" to its absurd but logical conclusion: if I can kill my baby in utero, why not at 2 months extra utero, or 2 years, 20 years, etc.? The terms Democrat and Republican were not even considered by the Founders because they hoped that "factions," what they called "parties," would not become prominent. For modern America, since the founding of the Democratic Party in the 1820s and the founding of the Republican Party in 1850s, those parties have not changed that much, and more than one generation has now passed since those parties were founded. Thus, actually, the terms "conservative" and "liberal" are not more consistent. The Founding Fathers were the liberals of their time, while those who wished to remain governed by King George III were the conservatives; today the conservatives are those who want to "conserve" what those "liberal" Founding Fathers established in the US Constitution, and today's liberals are the ones who deem that Constitution a "living" document as they veer more and more toward a socialist government. - One of the major components of the right-wing are evangelical and fundamentalist Christians. There is no question that they are illiberal and want to dictate what you and I think and believe. - One of the major right-wing goals is to take a women's decision about what to do about her own body away from her. That is not "more power for the individual", in my opinion. Actually, "fascism" by definition (dictionary.com) is "a governmental system led by a dictator having complete power, forcibly suppressing opposition and criticism, regimenting all industry, commerce." The "right wing" in contemporary America favors smaller government, fewer regulations on business, and more power for the individual—the exact opposite of the definition of fascism. Therefore, in no way can "fascism" be considered "right wing" by today's American ideological standards. For a very thorough analysis that corrects this common error, you might want to check out Jonah Goldberg's Liberal Fascism. In fact, the American left has appropriated fake definitions of the terms, "fascist" and "Nazi," in order to smear the right—the same way that the Democratic Party appropriated the civil rights issue to make the ludicrous claim that the Republican Party and the Democratic Party switched positions on race. BTW, I have done years of research and have written many hubs based on it. As to the last comments, Fascism is, by definition, a far-right ideology. I would argue that Stalin-type communism is too. Not so much Hobbes, but Locke, Rousseau, and several other contemporary philosophers upon which our constitution is based are the foundation of liberalism. The Constitution is a liberal document that was violently opposed by conservatives. Throughout American history, non-Federalists and Democrats were the conservative party while the Federalists, Whigs, and early Republicans were liberal in orientation. Today it is the Democrats who are liberal and Republicans who are VERY conservative. The statism of fascism and nazism does not encompass any of the social contracts suggested by Hobbes, Locke, or Rousseau. In fact, the social contract theory is not based on any political ideology. The main purpose of a social contract is to guarantee that society does not descend into chaos. Political positions arise as differing ideas rebut one another on how to secure that society maintains order. Speaking from a contemporary American perspective, the basic difference between statism (fascism/nazism/socialism/left-wing) and democracy (conservatism/capitalism/individualism/right-wing) is that the former requires imposition from the state in all areas of life. The latter seeks to secure freedom, self-determination, and individual responsibility, with a minimum of state intrusion. 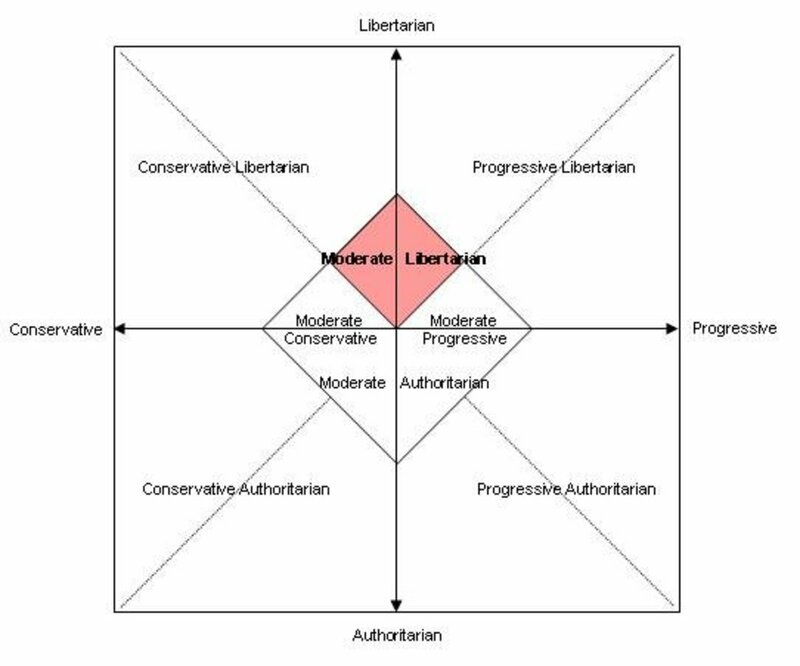 As I have argued elsewhere, terms such as "right-wing," "left-wing," "conservative," and "liberal" may change over time as any given society changes. Ultimately, the point is that fascism and nazism have never played a role in American Constitutional governance. And up until the time that the Democratic Party started to take on socialist ideals during FDR's Great Depression of the 1930s, the issue of a totalitarian government had not threatened the democratic-republican nature of American governance. The Founders had secured that status through the document known as the Constitution, the ultimate American "social contract." Now that the party of slavery and segregation has added its third "s," it has secured its prominent position on the "left"; thus it threatens the democratic-republican representative governance, which in turn threatens the ability of individuals to govern their own lives and seek prosperity. Although Thomas Hobbes and Jean-Jacques Rousseau might cave in to the Democratic Party's statist tactics, it is doubtful that John Locke, who said, "The end of law is not to abolish or restrain, but to preserve and enlarge freedom," would so do. Strange that you would argue fascism and Nazism are not ultra-right wing when the right wing encompass such fundamentals as the social contract theories of Hobbes, Locke and Rousseau. 10 months ago from U.S.A. Thank you for your effort in responding, but this discussion is not very productive. I suggest that if you believe the claims you are making, you do some research and write your own articles supporting them. I would especially be interested in your article elucidating the difficulty of separating oil from water. How do you separate the two? It's like trying to separate oil from water, isn't it? At the bottom of the last response my reply would be race is part and parcel of the more general statement I made. The 14th amendment applied the Bill of Rights to States while the 15th covered, among other things, voting rights for black males. Conservative Court decisions since Rehnquist have chipped away at both of those amendments, fortunately not to the degree the conservative Court did from 1884 - 1932 where it effectively neutered both laws. ME: "I understand the purpose of the 3/5ths rule regarding apportionment." LSG: Apparently, you do not, as you go on once again to make the distinction for counting slaves based on level of humanity. And again, the argument was between slave states and free states. By inserting the terms "liberal" and "conservative," you obfuscate the issue. The fact is that those opposing slavery were not in favor of counting slaves for the purpose of representation because that would have given the slave states more power. ME: "The conservative Republican party today is doing everything they can to disembowel the 14th and 15th." LSG: Totally false. Those amendments granted citizenship and voting rights to former slaves. Today, "birthright citizenship" has become a problem for the country as part of the immigration issue. Illegal immigrants are not "former slaves." Dan Stein, president of the Federation for American Immigration Reform, has stated, "Today's erroneous interpretation of the 14th Amendment is defeating the operation of US immigration controls. It is trumping the legislative intent of the statutes. It is rewarding illegal immigration and making the laws unenforceable." ME: "While the name of the party hasn't changed, what it stands for as drastically changed. Today, the Republican party stands for every socially regressive idea the southern Democrats stood for only 60 years ago. On the other hand, today's Democratic party stands for all the socially progressive ideas the liberal Republicans believed in 160 years ago. Wouldn't you agree?" LSG: Of course, I do not agree. The purpose of the article we are discussing is to debunk that very claim as it relates to race. LSG - yes, I understand the purpose of the 3/5ths rule regarding apportionment. And in the terms you stated, I accept the reasoning. To be precise, the liberals, who opposed slavery and the all people treated as human beings, wanted those people (granted, only men) to be counted. Conservatives, who supported slavery and the idea that blacks are less than human to count as free people, yet they weren't, they were slaves, after all. Yes, the Whigs and their progeny the Republican party were social liberals which is why we have the 13th, 14th, and 15th amendments. Today, that is not true. The conservative Republican party today is doing everything they can to disembowel the 14th and 15th. 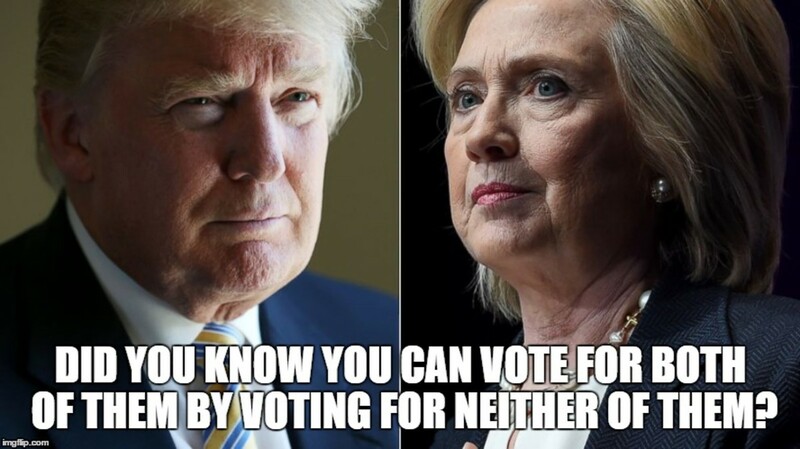 While the name of the party hasn't changed, what it stands for as drastically changed. Today, the Republican party stands for every socially regressive idea the southern Democrats stood for only 60 years ago. On the other hand, today's Democratic party stands for all the socially progressive ideas the liberal Republicans believed in 160 years ago. Wouldn't you agree? My Esoteric: Her point was that that because of the 3/5ths rule, in terms of representation, she was worth only 3/5ths of a person, her worth as a human was only 3/5ths of a white male (women were worth nothing then, of course). LSG: The 3/5 rule did not address the issue of human value of each individual; its purpose was merely for apportioning representatives. If, as you say, "women were worth nothing then," then Rice would not have been considered 3/5 human but not human at all. My Esoteric: If conservatives had had their way, blacks would be worth what they perceived them to be - nothing, because they weren't a human being in their eyes (same reasoning as in Dredd Scott). Only liberals thought blacks should be worth a whole person. LSG: The argument was not between "conservatives" and "liberals"; it was between the Northern non-slave-states and the Southern slave-states. The South wanted all their slaves to count for purposes of representation. According to your logic, the South thought of their slaves as fully human, while the North, which originally wanted no slaves counted, would have considered them not human at all. But even in that argument, the level of humanity was not the issue: the number of representatives was the issue. And if the South had gotten their way, counting all their slaves, the slave states would have gotten more representatives, making it more difficult to eventually end the institution of slavery. LSG: No, I do not. I am focusing on one issue: race, and showing how the Democratic and Republican Parties did not, in fact, switch sides. Democrats have made that claim because they cannot argue against the fact that the Republican Party was founded to abolish slavery, passed legislation to make blacks citizens, and has continued to be the party of civil rights from its founding, while the Democratic Party fought hard to keep slavery and later to keep blacks second class citizens by struggling against the early civil rights bills in congress. LSG: At the founding of the USA, parties or "factions" did not formally exist, and the Founding Fathers had hoped that those factions would not arise. So the "role reversal of parties" is a moot point regarding the "founding." I think you missed the point when you claim " Even Condoleezza Rice, an educated, accomplished former Secretary of State, misspoke when she said, "In the original U.S. Constitution, I was only three-fifths of a person." is wrong. Her point was that that because of the 3/5ths rule, in terms of representation, she was worth only 3/5ths of a person, her worth as a human was only 3/5ths of a white male (women were worth nothing then, of course). If conservatives had had their way, blacks would be worth what they perceived them to be - nothing, because they weren't a human being in their eyes (same reasoning as in Dredd Scott). Only liberals thought blacks should be worth a whole person. And finally today you have the conservative Republicans and liberal Democrats. But on the social side, the Federalists, Whigs, and liberal Republicans (through Taft), and today's Democrats were your liberals while Anti-federalists and Democrats (through Wilson) remained conservative. In the transition period from after Wilson to 1994, the role reversal, both on economic and social fronts, took place. The conservative southern Democrats gave way to the liberal northern democrats until finally, in 1994, most of the southern Democrats bolted to the now very conservative Republican party. The once socially liberal Republicans were swamped by super conservative Republicans to the point there are almost no moderate and liberal Republicans left. My point of course, is that there was clearly a role reversal of parties between our founding and today. 11 months ago from U.S.A.
"but you write that the split wasn't real." No, I don't. And the very quotation you cite demonstrates exactly what I'm saying. "These Negroes, they're getting pretty uppity these days and that's a problem for us since they've got something now they never had before, the political pull to back up their uppityness. Now we've got to do something about this, we've got to give them a little something, just enough to quiet them down, not enough to make a difference." It appears that you are attempting to rehabilitate the Democratic Party from it well-deserved label as the party of slavery, segregation, and Jim Crow. But your comments are not very helpful, because as you said, "I didn't read carefully." My fault - I didn't read carefully. And for everything you wrote it was not the best place to start. Even in 1860 the Northern Democrats and Southern Democrats were split on issues of race. The North/South split in the party was far wider when the Civil Rights Act of 1964 was passed, but you write that the split wasn't real. 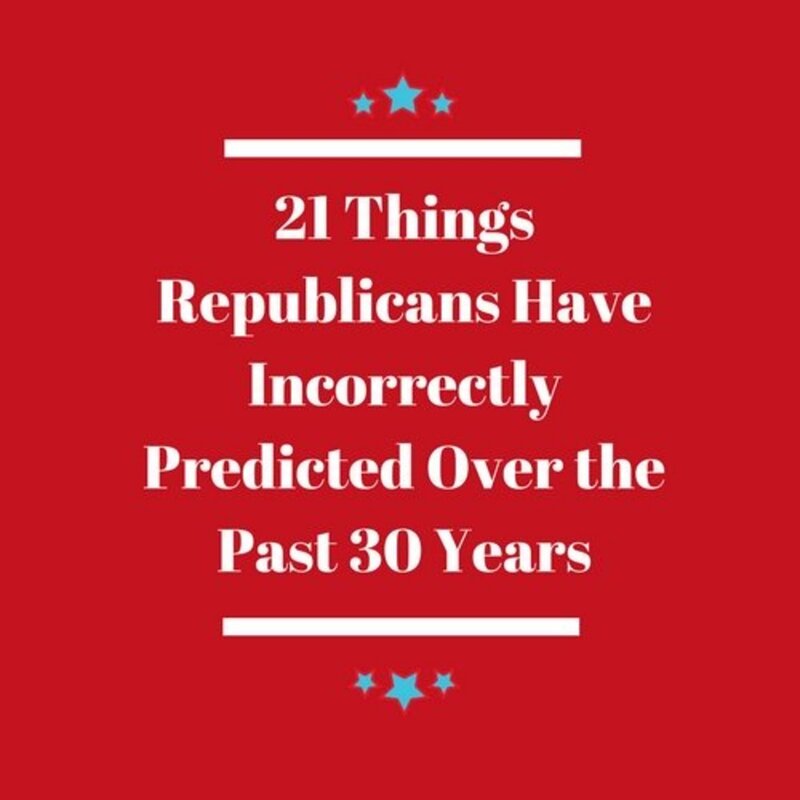 "This low number of Republicans in the house and senate when converted to percentages skews the reality of the fact that the overall vote, which is the vote that counts, clearly outs the Democrats as opposers of the act." The split even goes past the fact that 98% of Northern Democrats voted for the bill and 95% of Southern Democrats voted against it. The bill was sent to congress by the Kennedy administration and pushed through by LBJ and Hubert Humphrey while most Southern Democrats fought the bill. Is this meant to be a joke? "Various leftist political factions have filled historical reportage with inaccurate claims that persist; for example, it is claimed that in establishing the guiding document for the United States, the Founding Fathers, who composed the Constitution, thought that blacks were only three/fifths human." "...the Founding Fathers, who composed the Constitution, thought that blacks were only three/fifths human." Not at all. The South wanted to count slaves part of the population for apportionment of representatives in congress but as property when determining taxes. The 1787 Constitutional Convention settled on the 3/5 compromise.